I’m signed up for Bucktown 5k! 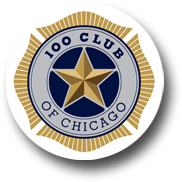 This race benefits 100 Club of Chicago, an organization that provides for the surviving spouses and dependents of law enforcement officers, firefighters and paramedics who lose their lives in the line of duty. You can support my participation in this race and 100 Club of Chicago by making a donation of your choice. Your donation will go to the surviving spouses and dependents of law enforcement officers, firefighters and paramedics who lose their lives in the line of duty. This includes all federal, state, county and local officers, firefighters and paramedics stationed in Cook and Lake County.Learn more.